This interview is part of an interview series Lennd produced in partnership with XLIVE's annual conference. Our goal with these interviews is to share some of the insights, expertise and advice from some of the top event management professionals around the world. This is how we all can grow in our careers and produce better events. 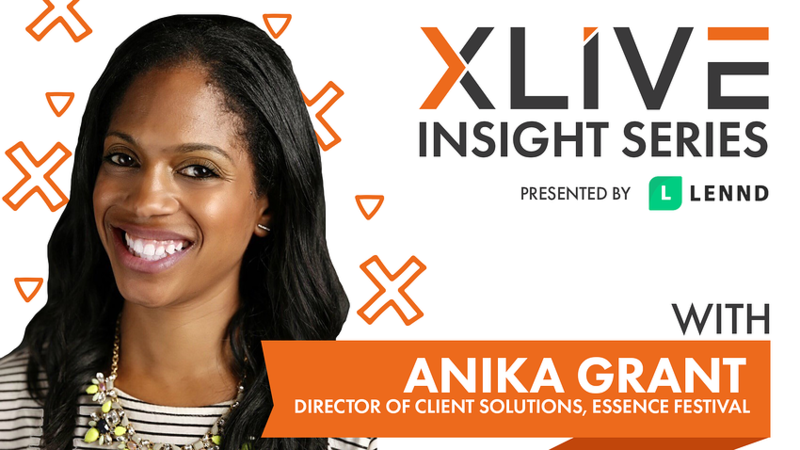 This next interview is with Anika Grant, who spent the last 7 years as the Director of Client Solutions for Essence Festival and is the Founder of Idlewild Experiential. I was born in Memphis, Tennessee. Both of my parents are professors. That meant we moved when there was a new job opportunity. So I spent middle school and high school in Maryland just outside of Washington, D.C. I basically grew up on college campuses. Given your event management experience, I can very easily see you teaching a class one day. I will. That is definitely a goal of mine. It's in me. And If you were teaching something besides event management, what would you teach? Oh, what would I do? What would I be teaching? Probably some sort of marketing or strategy, tied in with research. I am such a research nerd. I love understanding why things happen and what decisions they lead to. I believe research and insights should always be at the foundation of all marketing efforts, so I would say probably something in that vein. And if I was hanging out with some of your friends at a bar and they've had a couple of drinks. Not too many. Just enough. How would they describe you? They would describe me as a person who is a big thinker and dreamer. I am definitely known for always having big and crazy ideas. And my closest friends and family allow me to dream big and then jump in and help me turn those crazy dreams into reality! Every so often they have to remind me to sit down, but I just love being creative and I love to explore and try new things. So what was your role at the festival the last 7 years? I oversaw sponsor revenue and activation. So, that was really driving a strategy around how we can build off our event platform to authentically attract more revenue from our advertisers. Is it through strategic partnerships? Is it from paid sponsorships? Does it fit the brand? How can we serve our audience more? And then, ultimately, where's the revenue to match it? Seeing ESSENCE grow so immensely in the last 5 years alongside the overall live events and festival industry it seemed like the perfect time for me to launch my agency Idlewild, to support festival producers in the revenue, marketing and execution strategies for their events. How did you get in to all of this event management world? I think that's the best question. I love that question for everybody. Nobody sits in third grade and writes, "I'm gonna be a festival producer” so its always so interesting to find out how folks in this industry ended up in their roles. I have to track back to when I went to Jazz Fest for the first time. I walked into Jazz Fest and said, "This. I gotta do this. I don't know what this is, but this is my world." The music, the food, the good times. I started in sports, actually. I started at Madison Square Garden, in sports marketing. If you had asked me, when I was in college what I was going to do with my career, I was like, "I'm gonna work for the NBA." My dream job:The Olympics. That was my focus. But then I found that there was this mix of everything I loved in the live events industry. Music, entertainment, marketing, communications all are encompassed in live events. And, in the last decade, the growth in this area has been exponential. How would you say the festival has evolved over the years? Oh my God. We're like the 'Little Engine That Could'. I wouldn't call it little, Anika. Hah. Well we're the little engine that could, but we're not little anymore. 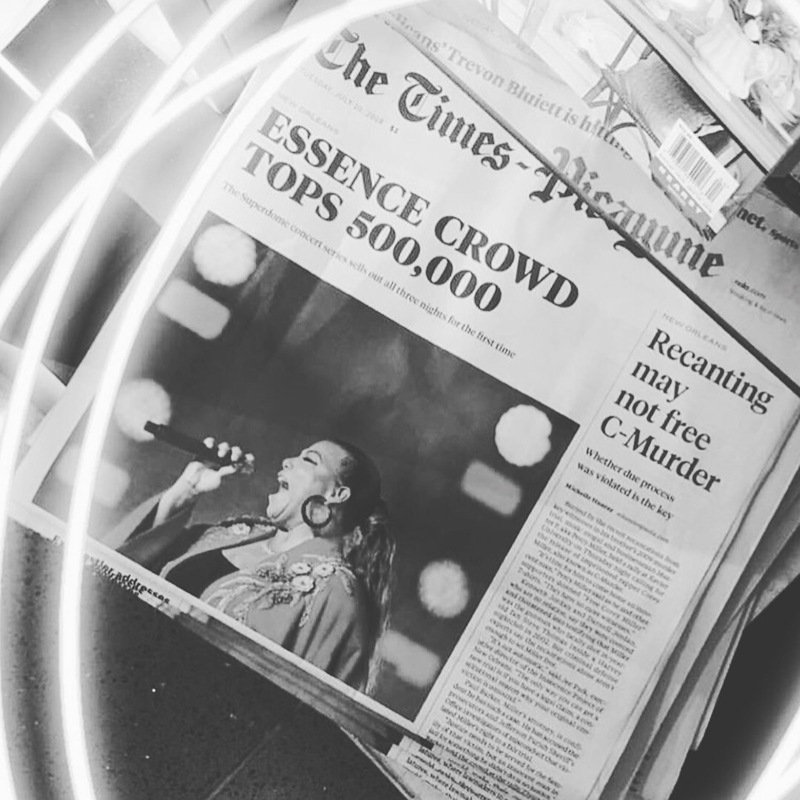 2019 will be the 25th anniversary of the Essence Festival, and we launched as a celebration, back then, of the 25th anniversary of the magazine. The initial concept was: "It's a celebration. Let's just have a party in New Orleans, and we'll just do a concert." 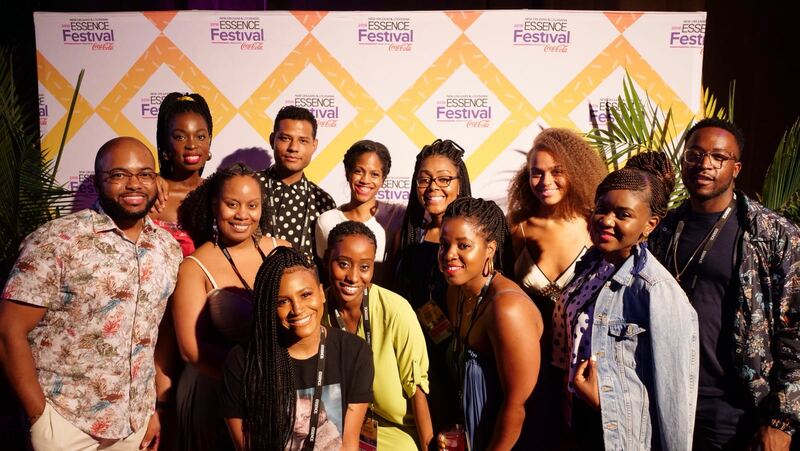 So our editor in chief at the time says, "Well... We're Essence. We serve the African-American woman. We empower her, we give her information, entertainment. We can't just have a party. We have to be empowering. So, they set up one stage and said, "Okay. We're going to have one stage and we're going to have speakers just come in and talk and share their stories." That was 25 years ago, in one hall of the convention center. Now, we are over 700,000 square feet in the convention center. Over half a million people. Bigger than South By, bigger than Comic-Con. Massive. 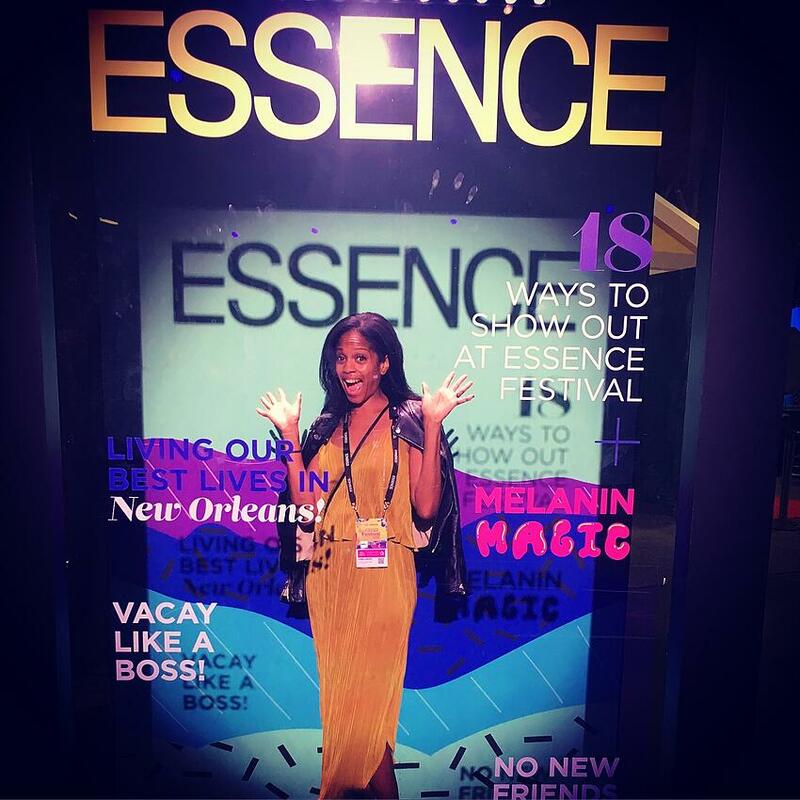 It's interesting because some folks know what the Essence Festival is, because it's targeted to a very specific audience. But many have no idea the scale and impact it's had on this generation. I'm sure you get this all of the time now, but what was it like when that little movie came out? Oh, that little movie, "Girls' Trip". Oh, yes! Well, I can tell you that shooting a movie at your event (for a festival producer) is a dream and a nightmare all together, because you’re like, “You’re gonna film the scene on Saturday, at noon, in the middle of the convention center with hundreds and thousands of consumers walking by?!?! And you kind of say, "Okay." "And the whole cast and the crew, everybody's gotta come." "Okay." So, we knew what we were getting into, but I don't think we really realized the impact of having to manage such a massive event around a feature film production. So that Friday before the film came out, a bunch of staff, all decided to go see it. There were some folks who had seen the first version, but there was a bunch of us who hadn't seen it. I think we were too traumatized from the execution. But, we all went to see it together. And After the movie was over, we walked out of the theater, stood on the street corner and said, "Holy cow. This is about to flip everything upside down!" And it did. People walked out of the theater and immediately bought tickets to the festival. Hotel rooms immediately got booked. 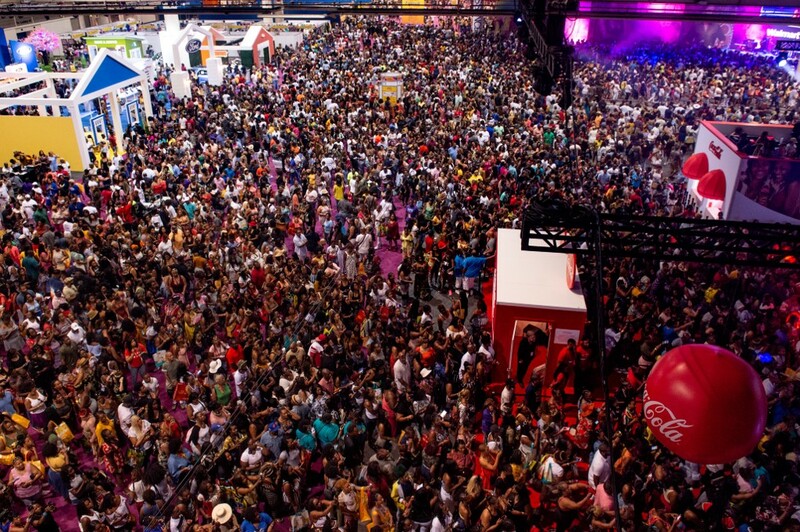 They finally understood what the Essence Festival was. That's always been our struggle to explain. How do you explain, ten stages, concerts, everything from empowerment sessions, to learning how to write a resume, to dancing wrong. How do you put that into your brand messaging? The movie did it in ways that we could have never done ourselves. When you think of the festival as a brand, how would you describe it in a few words? I would say it is the embodiment of what the brand mission of Essence is. Which is to serve Black women deeply, and to impact her in all parts of her life. Taking it one step further, it's more than just a brand. The concept is, we are serving her, our consumer, and this is the place where she can come and be herself and loose and be empowered. When you think about some of the biggest operational challenges in producing such a large event, what are one or two things that come to mind? I would say one of the big ones is effective communication. And that's both internal and external. Internal communication is a major challenge. Everything from new credential levels to security procedures to who's doing what and going where? That is a struggle. Especially when you get to a certain scale, Again, this is where Idlewild will hopefully support the Festival and other live events as we understand how stretched internal staffs can be and the need for strong external vendors and partners who understand the complexities of such large-scale productions. But then, you couple that with trying to effecitively communication with the consumer.. At this event, there's a festival within a festival, within a festival. How do you effectively communicate with consumers so they can plan their time and see everything?. We try to find a balance with external communication so we don't inundate. I understand you recently launched your own company? Yes I did. I launched Idlewild Experiential to support the development and execution of live experiences for diverse audiences. This includes the development of revenue and marketing strategies, supporting in-house staff on sponsor management and activation, and of course, event production. Idlewild also has a mission to support greater diverse representation and career opportunities within the festival industry especially behind-the-scenes. We have some exiting projects on tap for 2019, and are excited to be activating at SXSW this year! Stay tuned – it’s going to be a wild ride! Where do you think technology comes up short, in all of this? I feel like our biggest struggle with technology is, it's too much at times. There's just so many solutions to navigate. There's not one solution for all, but we do need partners who can really work well with the myriad of solutions and be a resource for us, so that we're not having to have one technology company here, one here, one here, one here, one here, and then, "Okay. Will you guys all talk?" This isn't gonna work together. Or this one works with this one, but not this one... So we need a strong middle person. So, they can connect everything. When you think about spending a couple of days at a conference like XLIVE, what are you looking to get out of a place like this? Well, you know, it's interesting. We in this industry don't all get together to talk to each other. We're all inundated in our day to day, so we don't get to share notes about best practices. Simple questions like What did you do, when? or Who did you call, when? That's what I love about this.. We might go to a marketing conference or we might go to a tech conference, but we're searching for each other. So, what I love about XLIVE is that we're able to find each other, and then just, "Hey, do you have a connection? 'Cause we're all working off of our networks. If you need someone to run a stage, you know who to call. You got your three go-to peoples. But, sometimes we've gotta expand that network. And this is allowing us to do that. For me, network is everything. So I love being able to expand that network. Even just to say, "Hey. Do you have any suggestions?" What one piece of advice do you have for those that are already working in the industry? First: Network. This industry is all about connections. And, every industry is, but this is one where it is so critical. Very rarely do you find someone or find a job through LinkedIn. It's the same people getting certain roles because of their network and because they are familiar with their work. Also, we all have a very unique skill set - So network would be number one. Second: Data & Insights. Live events is no longer just about pretty pictures in a recap deck. Data and insights can drive so many opportunities and decisions so I think understanding how to work with data is vital as well. . It's providing so much incredible insight into all aspects of our world and how to create better experiences. So, get some expertise in that area because that's gonna be the future. No, thank you for including me. I'm excited to read the others as well. Lennd is a next generation event management platform that simplifies operations so event teams can work smarter, move faster, and improve their ROI. From tracking and managing requests, orders and allocations for credentials, comp tickets, documents, catering, inventory, guest lists and applications to on-boarding vendors, artists, sponsors, suppliers, staff and crew, or any other group, organizations have everything they need to deal with the demands of today’s complex events, all in one central place.